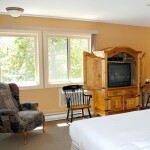 Miller Park Lodge is not available for online booking. Please submit an inquiry or call our agents to get pricing and availability information. 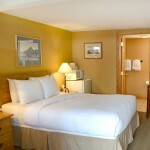 The Miller Park Lodge is conveniently located 2 ½ blocks from the famous town square in downtown Jackson Hole, Wyoming. 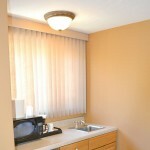 This downtown location allows for easy enjoyment of our local restaurants, shopping, activities, and nightlife. 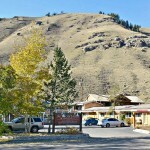 The motel is nestled off the main streets at the base of surrounding buttes making Miller Park Lodge a quiet, private retreat. 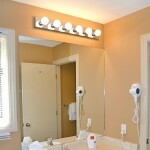 Our boutique motel has 15 comfortable rooms and suites. Each accommodation offers its own floorplan which may include special features such as a fireplace, jetted tub, or wet bar. All rooms are equipped with high speed wireless internet, direct dial telephone, flat screen TV, microwave, coffee machine, small refrigerator, air conditioning, and full bathroom. 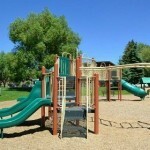 The main ski and recreation area, Jackson Hole Mountain Resort, is a 15 minute drive away. The public Start Bus transportation routes can also be easily accessed from the motel. 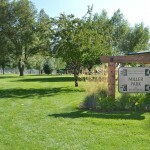 A public park named Miller Park neighbors the motel and offers a playground, ball courts, and picnic areas. 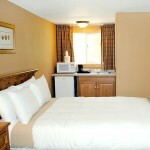 The area conveniences and amenities at our motel are sure to please. 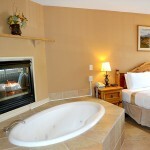 We invite you to stay at the Miller Park Lodge while enjoying Jackson Hole, Wyoming and its surrounding areas. Front desk personnel was amazingly friendly and helpful. I would definitely stay here again and recommend it to others! 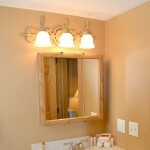 Miller Park Lodge is a nice, clean comfortable place. It's not upscale, and the view from the windows is limited - but we're the kind of family that's up early and off to the Tetons to see the views up close. We want clean room to sleep in and watch a little tv and that's about it. 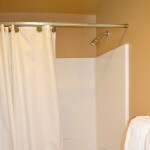 The upsides are the location, the rate and the cleanliness. The staff was friendly and helpful. My wife and I were on a motorcycle tour of the western US. 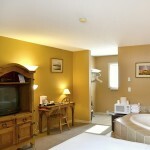 I found this hotel on the net and chose it because of it's affordability and central location. Because it was one of the least expensive hotels in Jackson Hole, my expectations weren't very high. We arrived and immediatly observed an older building however, it did look like it had been well maintained over the years. Still keeping a "neutral" expectation, we registered (early in the day, but the room had just been cleaned so they let us go in) and went to our room. 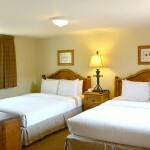 We were very surprised to find a very, very nice room with king bed, fireplace and jacuzzi tub in the room along with microwave, refer, hair dryer, etc. The hotel is only two short block walk to the town square yet a very quiet location (across the street from Miller Park). We walked over to the town square at mid day just to explore and again in the evening for dinner. 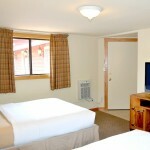 The room is comfortably furnished, modern carpet pattern and wall colors and plush bedding. We both slept very well. It was very, very quiet here....we didn't even hear the other guests but that could have been because we had an upstairs room on the end. But in fairness, even coming and going, we just did not hear any noise. I use an air card so I'm not sure about the internet service. The ice machine is right at the bottom of the stairs, centrally located for all guests. 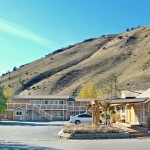 This was our first time to visit Jackson however, we'd recommend this hotel to anybody visiting the area. Room charge plus tax and resort service fee for one night is required at the time of booking. The remaining balance of full stay, inclusive of tax and resort service fee will automatically be charged on the day of arrival. Cancellations 48 hours (2 days) or more prior to arrival date are refunded in full. Cancellations within 48 hours (2 days) prior to arrival date forfeit the deposit of room charge plus tax and resort serve fee for one night. No-shows are treated as cancellations. Late check-out and early check-in times may be available if your reservation is not back to back with another reservation; a $50 charge will apply. Should the office be closed upon your arrival, a package with keys will be outside the building in a locked box to the left of the double doors. The combination to the locked box is 7777. Please sign the bottom of the rental agreement and leave inside the box. Re-lock the box by closing the lock and reorganizing the numbers so that they do not reflect 7777. Take your packet with you and have a great vacation!.